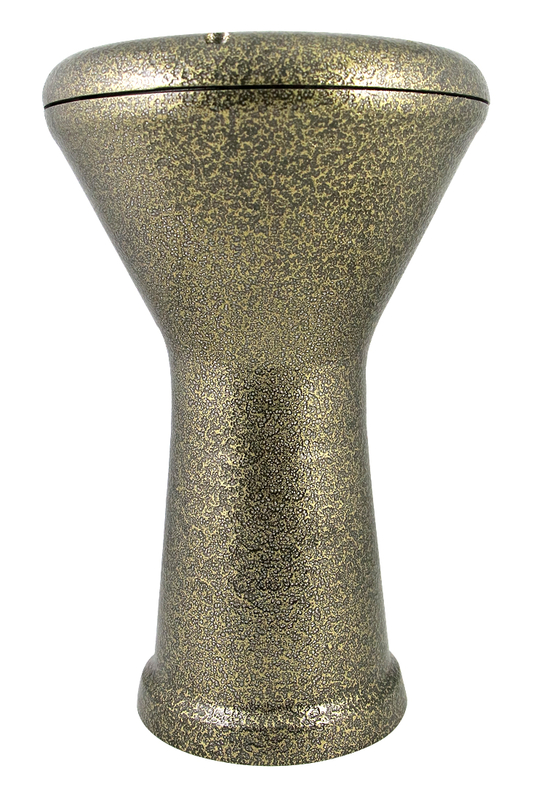 This KIDS SIZE Metallic Doumbek/Darbuka (Egyptian Tabla) drum in silver tone is crafted in Alexandria, Egypt. 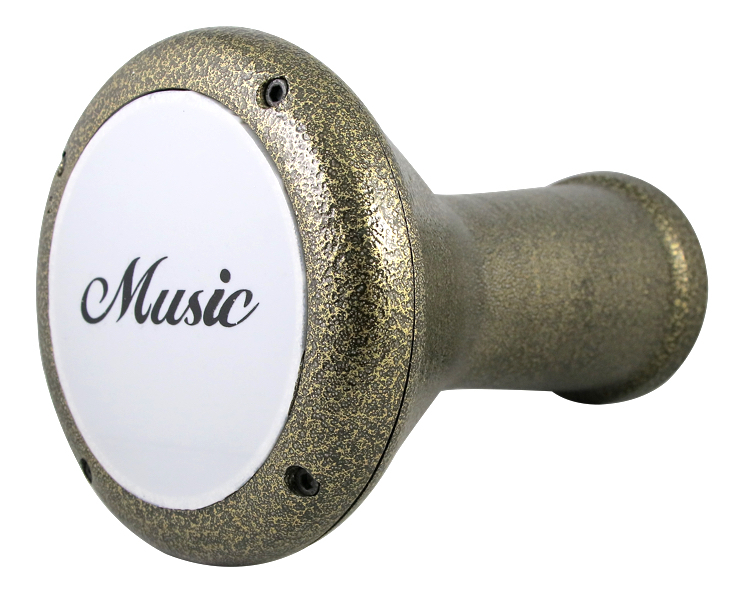 The cast aluminum body and synthetic head are durable and produce crisp sounding dums and teks. Includes carrying bag with strap, extra synthetic head, and tuning key.